Magnetic storage media and devices store data in the form of tinymagnetised dots. These dots are created, read and erased using magnetic fields created by very tiny electromagnets. 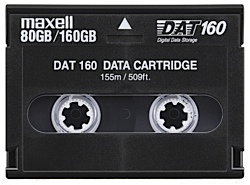 In the case of magnetic tape the dots are arranged along the length of along plastic strip which has been coated with a magnetisable layer (audio and video tapes use a similar technology). In the case of magnetic discs (e.g. floppy disc or hard-drive), the dots are arranged in circles on the surface of a plastic, metal or glass disc that has a magnetisable coating. 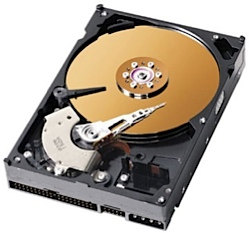 Hard-drives have a very large storage capacity (up to 1TB). They can be used to store vast amounts of data. Hard-drives are random accessdevices and can be used to store all types of films, including huge filessuch as movies. Data access speeds are very fast. 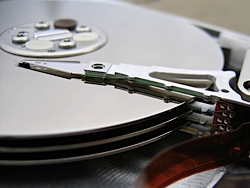 Data is stored inside a hard-drive on rotating metal or glass discs (called ‘platters’). 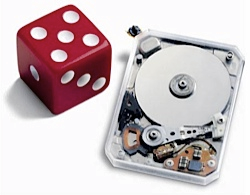 A hard-drive built into the case of a computer is known as ‘fixed’. Almost every computer has a fixed hard-drive. Fixed hard-drives act as the main backing storage device for almost all computers since they provide almost instant access to files (random access and high access speeds). 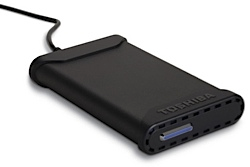 A portable hard-drive is one that is placed into a small case along with some electronics that allow the hard-drive to be accessed using a USB or similar connection. Portable hard-drives allow very large amounts of data to be transportedfrom computer to computer. Many portable music players (such as the iPod classic) contain tiny hard-drives. These miniature devices are just not much bigger than a stamp, but can still store over 100MB of data! 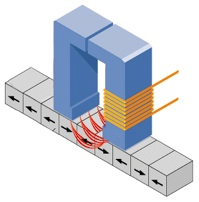 Magnetic tape is a large capacity, serial access medium. Because it is a serial access medium, accessing individual files on a tape is slow. Tapes are also used and in some batch-processing applications (e.g. to hold the list of data that will be processed). A removable, portable, cheap, low-capacity (1.44MB) storage medium. 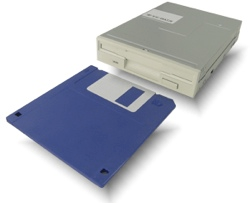 Floppy discs are random access devices used for transfer small amounts of data between computers, or to back-up small files, etc. Access times are slow. Almost every PC used to have a floppy disc drive. These are obsoletenow, having been replaced by higher capacity technology such as CD-ROMs, DVDs and USB memory sticks. A removable and portable storage medium, similar in appearance to a floppy disk, but with a much higher capacity (100MB, 250MB or 750MB). 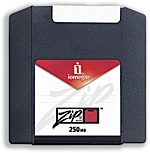 Zip discs are random access devices which were used for data back-up or moving large files between computers. A removable and portable storage medium based on hard-drive technology, with a large capacity (1GB or 2GB). 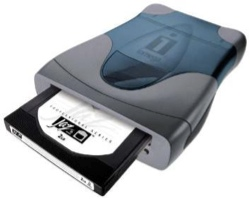 Jaz discs are random access devices which were used for data back-up or moving large files between computers. Discs were expensive to buy and not very reliable. Like the Zip disc, this system never really caught on and was superseded by far cheaper and more reliable and cheaper technology.